River cruise lines are shaking things up with the entrance of several vessels that are noticeably wider than the typical boats that you see plying the Rhine, Main and Danube rivers. With a 75-foot width, Crystal Mozart was the first to enter the upsized field in 2016. 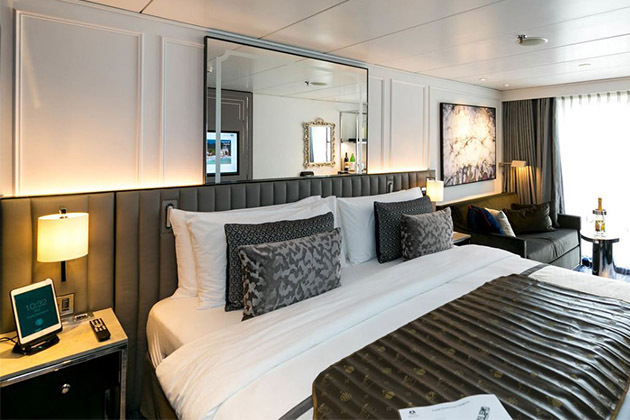 The luxury river cruise line bought Europe's largest riverboat from operator Peter Deilmann, and gave it a complete bow-to-stern refurb to bring it up to Crystal standards. The 154-passenger ship now boasts multiple restaurants, larger spa and fitness facilities and high-tech cabins with king-sized beds that begin at 219 square feet. In 2019, AmaWaterways will introduce AmaMagna, which will be 72 feet wide and carry 196 passengers. The extra space will give the line the ability to add more restaurants, expand its fitness and wellness area, add a water sports platform and increase the size of cabins to a minimum of 205 square feet. Is bigger better? Take a look to see whether a larger river cruise ship floats your boat. 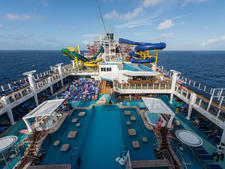 You love mega cruise ships. If you've only sailed on a mega ocean ship, the compact size of an average river cruise vessel will come as a shock the first time you set foot on it. Because they have to fit through locks, the boats can only be a specific size -- and it's much more intimate than what you find at sea. Everything is downsized, from the reception desk and lounges to the cabins and atriums. A larger river cruise ship may be a good way to "ease" yourself into this very different style of cruising. You want a bigger cabin. With the exception of suites, cabins on a typical river cruise ship can range from 150 to 185 square feet. Both Crystal Mozart and AmaMagna were designed to provide passengers with larger cabins and more room to spread out. Expect larger bathrooms too, with double vanities. You want more restaurant options. A typical river cruise ship has one main dining room and perhaps an alternative restaurant; often the latter is simply part of the lounge and serves light bites. Crystal Mozart has a main dining room, two casual restaurants, plus a snack bar, room service and an extra-fee wine room. AmaMagna will have an alfresco restaurant and wine bar, in addition to its main dining room and Chef's Table. 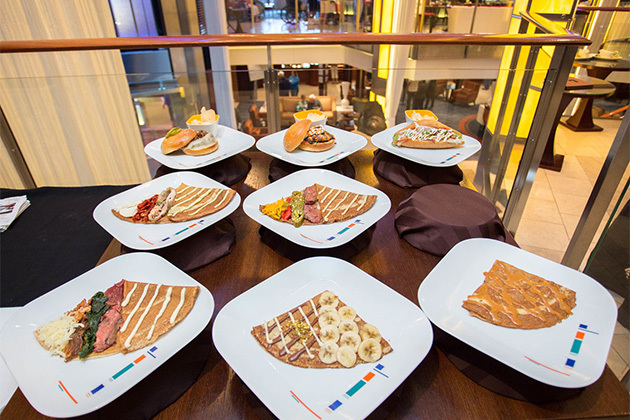 More restaurants give passengers the ability to better customize their vacation and avoid the "herd mentality" that sometimes can take place at 7 p.m.
You need a lot of personal space. On a regular-width river cruise ship, you'll usually find between 106 to 190 passengers; the amount varies with the line. 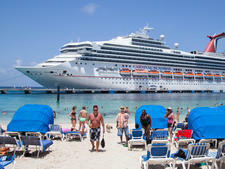 With fewer places to spread out, ships can occasionally feel cramped at key moments, such as peak hours at the buffet or at the nightly port talks when most of the passengers gather. Neither Crystal Mozart nor AmaMagna have this problem. On the former, port talks are eliminated altogether. On the latter, there are not only fewer people per square foot, but there's a second lounge. A fitness and spa complex is important to you. 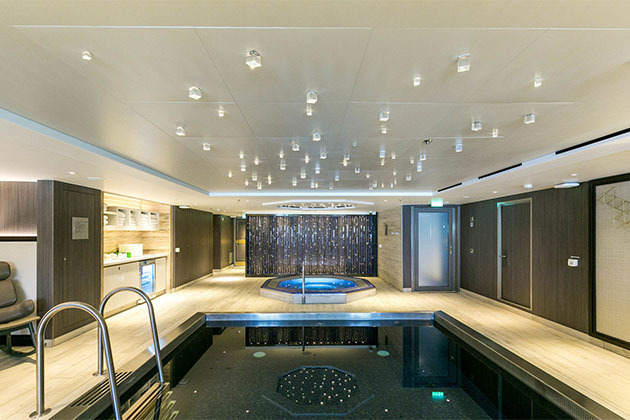 Although the trend has been changing, spa and fitness facilities on river cruise ships are still not a given. You'll usually find them tucked away on the lower deck, with one or two machines and a handful of weights. The spa room is usually a single cabin that's been turned into an area for the massage therapist. 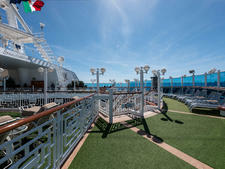 Crystal Mozart and AmaMagna put more emphasis on these areas for their passengers. On Mozart, there's a gorgeous indoor pool, with a hot tub and relaxation area. Two treatment rooms anchor the spa, and there's a salon that offers manicures, pedicures and hair treatments. The fitness center has multiple cardio machines, as well as Technogym equipment. AmaMagna, too, plans to put wellness front and center. 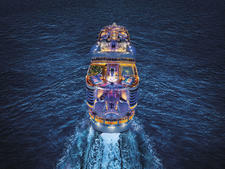 It will also have a spa and hair salon and a top deck pool. Its fitness room will be big enough for the ship's wellness instructor to hold regular classes. AmaMagna also plans to have a water sports platform, although these type of activities have not yet been announced. You want to go somewhere other than the Danube. The biggest drawback to larger river cruises is the limitations on where they can go. Narrow locks prevent the double-wide ships from sailing most European rivers and, in particular, the Main-Danube canal that links the latter river with the Rhine. Crystal Mozart only sails north to Passau and south to Belgrade, as the line doesn't want to risk the low water levels that can sometimes happen on stretches of the Lower Danube. When AmaMagna launches, it will sail between Budapest and Vilshofen its first year, adding Budapest to Bucharest in 2020. You're OK with one or two places to eat. River cruise dining has been steadily improving over the years, with most lines concentrating on more options, particularly for people with food allergies. Besides the main dining room, light bites or casual food options are usually served in the lounge, from late risers' breakfast to lunch and afternoon tea. Several "regular-sized" river cruise lines also have a special Chef's Table restaurant or meal available during the sailing. Trust us, we've never gone hungry. Crystal is a luxury river cruise line, so expect to pay top dollar for your cruise on Mozart. (Keep in mind that everything from alcohol to gratuities, Wi-Fi and shore excursions is wrapped up in the fare.) The price point for AmaMagna is higher than the line's other ships, mainly because of the larger rooms and fewer passengers onboard.